1. Add a wreath. This might be the easiest one, and it will also make a fairly noticeable difference. Head over to On Sutton Place to check out more tips and tricks. 2. Accentuate your house number. Give your house number a boost with this simple DIY project. 3. Flank your door with large potted plants. 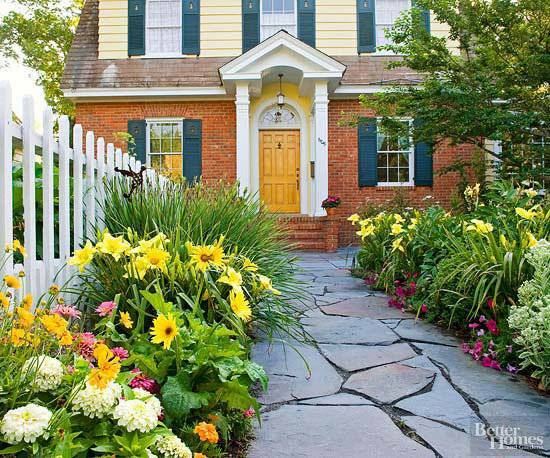 Try mixing perennials with annuals for a fresh look. This is a great way to add texture, color and life to your entryway. Check out more porch ideas here. 4. Add some colorful flowers. 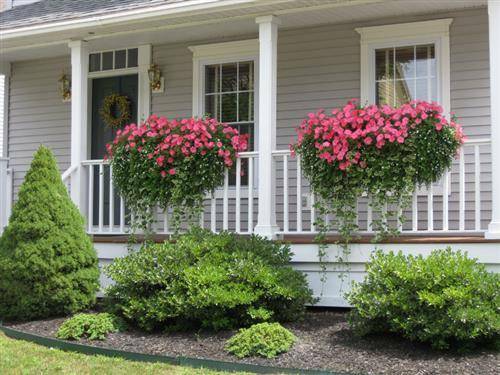 Adding a variety of colorful flowering plants to your front yard will make your home feel inviting and warm. Read more about exterior landscaping here. 5. Paint your front door. This is an easy one, but it will make a huge difference. Choose a color that has some personality, but also blends in nicely with the other colors in your yard. Check out other front door makeovers here. 6. Add lighting. Line your walkway with pretty lights - this will look lovely and help your guests find their way when it's dark out. Head over here to see more landscape lighting ideas. 7. Plant annuals in window boxes. Annuals are useful for adding color when your perennials might not be blooming. Try planting them in window boxes (even if they're not attached to windows!). Read more here. 8. Give your mailbox a makeover. Upgrade your mailbox with these simple tips from Beneath My Heart. 9. Edge your gardens. Add stone accents to the edges of your gardens, giving them an intentional feel. Find out how to do it here. 10. Make a cool welcome mat. 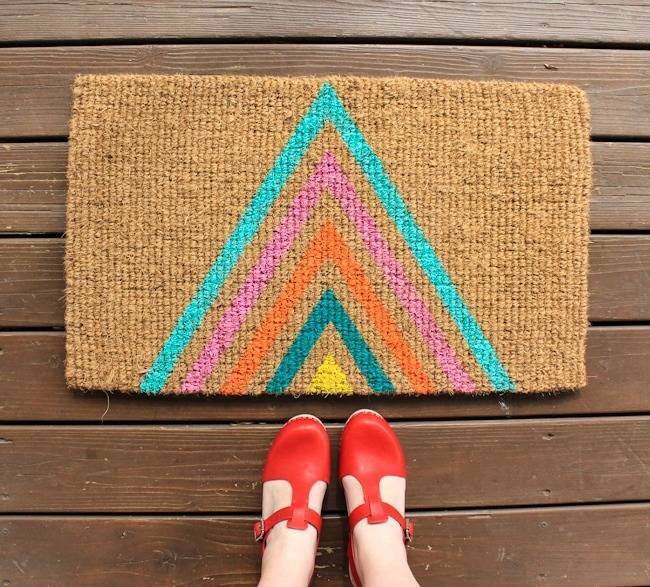 Add some character to your front porch with one of these colorful door mats. Head right over here to check out the simple tutorial. Awesome ideas! I've chosen the numbers project. It's officially on my to-do list!